The narrator explains that he was a desire to be a writer and had committed himself to the task. His focus is weird fiction and he had not had much luck, but some of his work is getting better reception. This however only wants to make him write something more meaningful and powerful. Therefore, he sets off to find more meaningful ideas and texts to help him. In his discussions, he comes across someone who names several books from the occult and this piques his interest. Despite his friend's warning, he sets out to find some of these texts and though he initially comes up with nothing, he does find one precious text at a bookstore. He explains the history of this text and how the author, hundreds of years before had written in while in prison and was supposed to have these strange and invisible figures help him do his work. Upon acquiring the book, he realizes that he does not speak the ancient languages necessary to decipher it and so calls upon another friend who does know the language to help him out. The friend is initially reluctant after he hears about the history of the author. He advises against it, but the narrator is set on exploring it. As he opens the book and begins to look, his friend joins him and eventually takes completely over. He slowly translates different passages and remarks on what he sees. The friend comes upon a summoning spell and they believe it was what the author used to acquire his invisible friends. The friend reads the spell aloud and no sooner does he than stranges sounds emerge in the room and soon, the friend is lifted into the air with his body snapped, cracked, and opened. As the friend bleeds out, the blood does not hit the ground but feeds the invisible thing, which is now becoming visible. As the creature with suckers on its arms finishes with the friend, it tosses him to the ground and vanishes. The narrator is struck with fear and departs. He leaves in total calm but now waits at his home for the monster to come and take his life too. 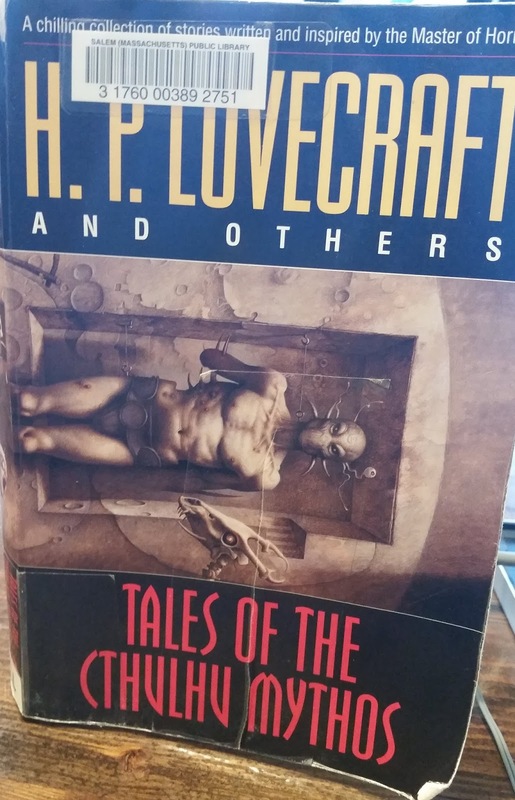 This tale was written by Bloch in dedication to Lovecraft--which is why I've included in here. 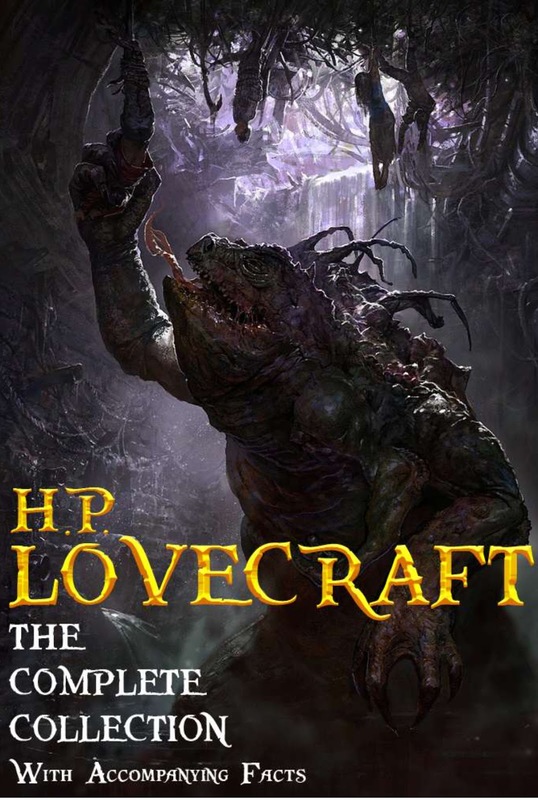 Lovecraft wrote The Haunter of the Dark in response to this tale--with each other using a character sketch of the other author as their protagonist. It was an early work by Bloch (who would go on to write Psycho--yes, that Pyscho), but it's clear here that he definitely can work with psychological horror pretty well.